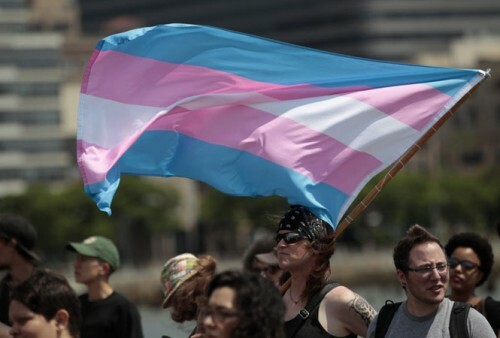 A new study found that transgender people who are referred to with the correct name are at a lower risk of suicide. Stephen Russell of the University of Texas at Austin, et al., interviewed 129 transgender and non-binary people between the ages of 15 and 21. He asked them if they could go by their actual name at home, at school, at work, and with their friends, and also asked them questions about suicide. Compared to participants who had to go by their birth name in all four domains, those who could go by their actual name were 34% less likely to report thoughts of suicide and 65% less likely to attempt suicide. Those who could go by their real names experienced 71% fewer symptoms of depression. “I’ve been doing research on LGBT youth for almost 20 years now, and even I was surprised by how clear that link was,” Russell said. The researchers found participants in three major cities and said that his sample was diverse in terms of socioeconomic class and race. They controlled for those factors when analyzing the results and also for social support. This is another reason it’s important to fight discrimination at work, to force schools to respect trans students’ gender identities, and for people to refer to use the right names for the transgender people in their lives: for some people, it can be a matter of life and death.